Amazon is huge and that is putting things mildly. It is the largest retail store in the world and there, one can buy just about anything at a reasonable price. In the face of such numberless abundance, many people want to know how to find specific products on Amazon and that is what we reveal in this article. For example, we have the parent Amazon company, which is simply known online as Amazon.com or Amazon USA, and then there’s Amazon Canada, Amazon UK, Amazon Denmark, Amazon France, Amazon Germany, Amazon Mexico, Amazon India, Amazon Australia, and several other branches as well. All these subsidiaries are collectively referred to as the Amazon marketplace. They are one and the same Amazon universal platform. People in certain regions of the world, such as third world lands like Africa where a dedicated Amazon platform does not exist, are not left out of the buying frenzy. The only problem is that they have to buy their product mainly on Amazon USA, which is basically Amazon.com anyway, pay in dollars via PayPal etc, and have the items shipped directly to their homes. But what about those living in countries where an Amazon store exists? What happens when someone in the UK or Japan clicks on a link leading to Amazon USA? 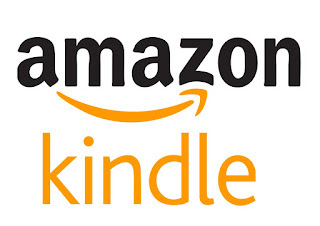 If your country of residence has a dedicated Amazon Platform, depending on your IP address, you are redirected there with a single click to purchase the product of your desire. However, this is not always the case and we are left with the annoying job of finding that product ourselves on our local Amazon platform where we can make payments at convenience in the local currency. Once you visit any Amazon website, finding whatever you need might seem somewhat easy given that all product categories are listed on the left side of the page with a bold search bar at the top. However, when you type in a word or phrase into the bar, tons of products instantly pop up and you are faced with the problem of sorting through an infinite number of pages to find what you are looking for. Never fear, we will now show you a simple way to find any product on Amazon with pinpoint precision. 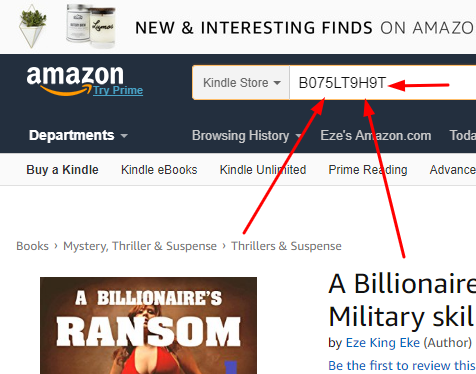 As pointed out before, entering the name of a book or product in the search bar on any Amazon website and hitting the search button is no guarantee that you will find exactly what you are looking for. In fact, the opposite will be the case. For example, searching for a book like ‘Genesis: Origin of Mankind‘ will give you hundreds of results including genesis knife, genesis cosmetics of all kinds and household products. If you are smart enough to narrow down your search to the Kindle ebook category, chances are that you will find quite a number of pages to look through. Amazon is simply that huge. Finding products with pinpoint accuracy in this huge store is what we wanna know, right? To do this, you must know the product’s ASIN number. No product on Amazon is without a unique identifying number. Be it a book, toolkit, movie, dress, shoes, jewelry, machine, etc, every one of them has a specially issued ASIN number. What is an ASIN number? The unique ASPN number of this book on Amazon is B075LT9H9T. To find it on any Amazon platform (the entire Amazon marketplace), just visit and enter the ASIN number into the search bar, hit search and there is your book. See the image below.